Jenson Button will return to Super GT in 2019 and defend the title he won alongside Naoki Yamamoto last year for Team Kunimitsu. Button has also signed a deal with British TV station Sky Sports to work as a pundit in 2019, ensuring the former world champion has a busy 12 months ahead. 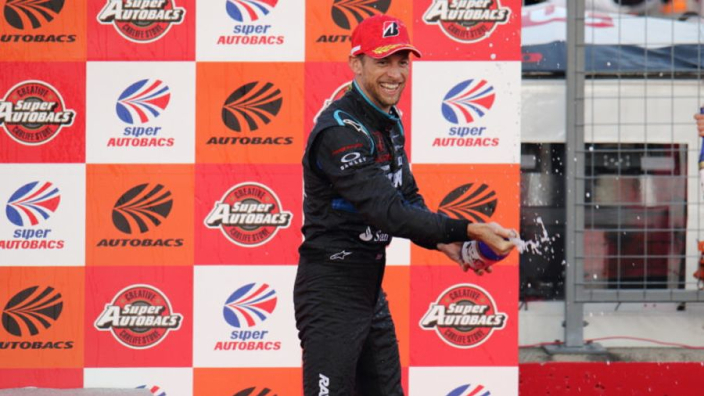 Button compared winning the Super GT title to his memorable 2009 Formula 1 world championship secured with Brawn GP, having become the first rookie to win in the top tier of Super GT in 13 years. The Briton and Yamamoto won the title by just three points from TOM'S Lexus' Nick Cassidy and Ryo Hirakawa. Button also raced in four World Endurance Championship events for SMP Racing in 2018, but he will only return to action for the Russian squad in next year's Le Mans 24 Hours, to be held in June.